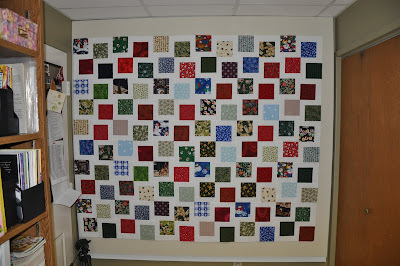 I finished the washing and pressing of the yardage and initial cutting to kit up this project for construction today. Then today after having my morning coffee, I was ready to assemble. Tonight I have a finished flimsy. In hind sight, I should have used a darker brown to give the design more definition. However, this was the brown I had in my stash. I was determined to shop the stash and not purchase any fabric so IIWII. I have some ideas that I am exploring to extend the snow on the branches in the inner panel out to the borders. 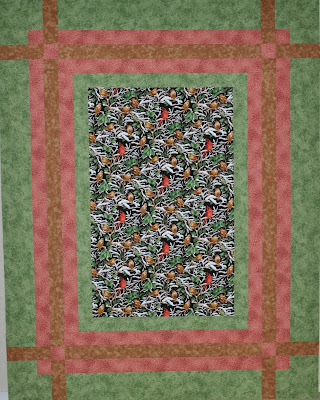 I will machine quilt this piece first and then explore the embellishment ideas further. After getting the flimsy done, I dug out a very old UFO. This is my Finn-inspired Christmas Patience Corners. http://finnleah.blogspot.com/2006/12/finally-something-quilty.html I started this quilt back in 2006 after seeing the Patience Corners quilt that Finn showed on her blog. I have the borders attached to my squares and this much of the top assembled. It should not take much longer to get this one finished to the flimsy stage. Linda http://catsnqlts2.blogspot.com/ kept me company today as I sewed. 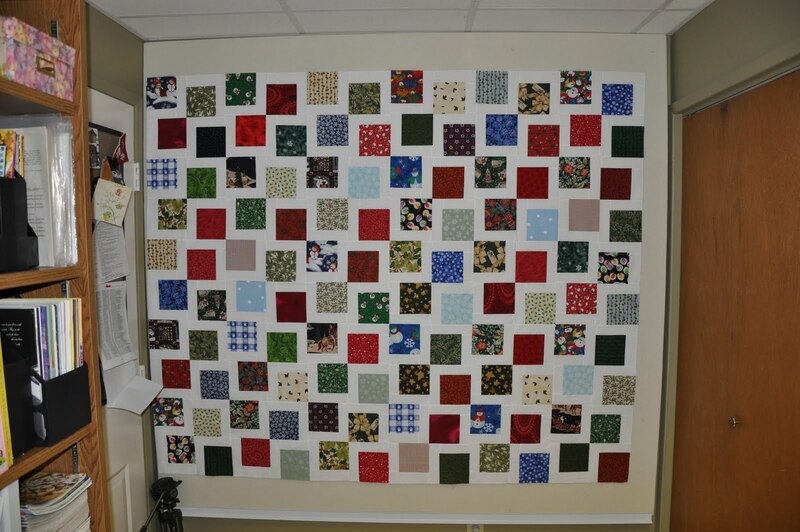 Linda completed her flimsy–Prairie Window–on Friday and she is now working on her Christmas Patience Corners quilt. 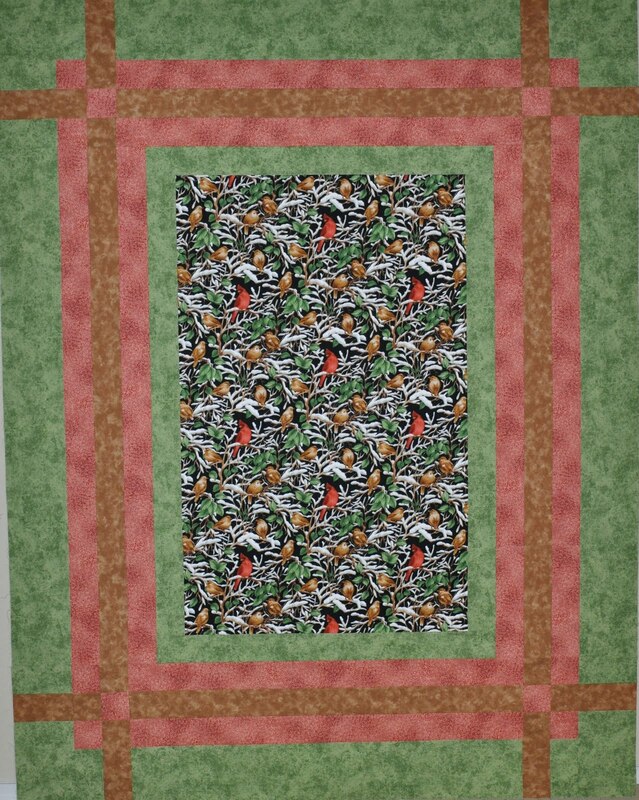 We have both had a chance to play with a new pattern, now it is time to buckle down and get these Christmas Patience Corners quilts finished and on the bed.